Here’s you chance to win a FREE 16 oz. insulated travel mug worth $14.99. What do you have to do? It’s simple. In an effort to build our brand on Amazon and inform potential customers of the value of our cup holder, we gladly invite you, our current customers to submit a review. 1.) Click the link below. 2.) Login to your Amazon account. 3.) 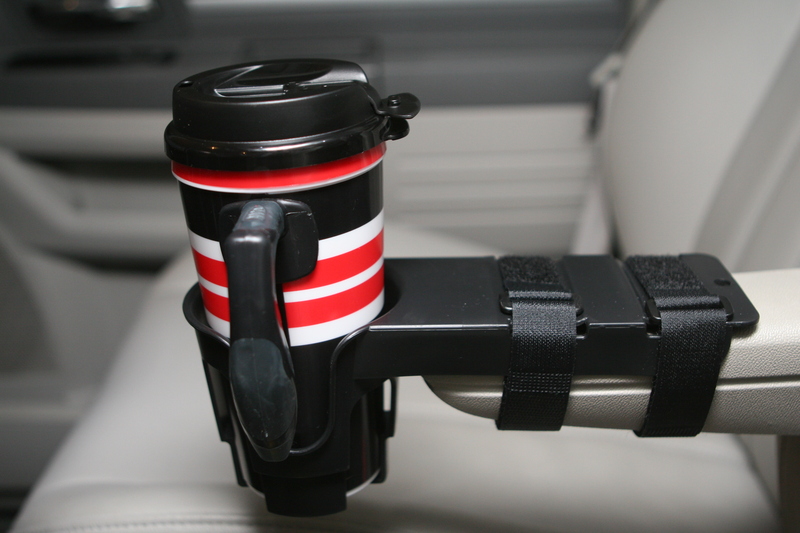 Review our cup holder. The contest ends February 28, and right now we’ll be picking one review as the winner for sure. However, the more reviews we receive, the more travel mugs we’ll be allowed to give away as promos. Best of luck, and thanks for your continued support.